When a hole is created, one must fill in that abyss and rather quickly. This is especially true when it comes to the exploration of space. Although it is factual that the space race is over and the United States can still lay claim to winning that contest, at least for the time being, what is also true is that finding a replacement for that lost program is essential to the nation. The aeronautical engineers at both Boeing and Lockheed Martin have been filling in that crevice left with the departure of the Space Shuttle program at NASA for over a year. The timing of the CST-100 Space Capsule Project could not be any better as the entirety of the beleaguered Space Coast community, in Brevard County Florida, desperately is in need of some work. The CST-100 Space Capsule Project started in 2010 and has been progressing towards the ultimate benchmark for any manned space vehicle, the initial launch. Boeing’s Crew Space Transportation vehicle, as the engineers at Boeing are referring this project, is penciled in for that all-important inaugural launch in the year 2025. 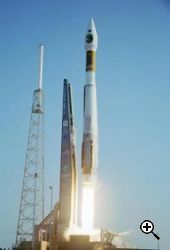 The CST-100 will hitch a ride atop the Atlas V rocket, and will boldly go where no manned space capsule has gone before, on top of an Atlas V rocket! The Atlas V is a rocket manufactured by Lockheed Martin and belongs to the family of rockets by the same name. The Atlas V rocket is expendable, meaning that there will be no second trip to the outer limits of space for this RD-180 kerosene and liquid oxygen-burning rocket. This is where the CST-100 will get a boost into space from and then it is all on its own! The combination of Boeing and Lockheed Martin is not unusual as this is a standard manufacturing practice, especially when the client is NASA. The way NASA operates is akin to the sole proprietor of a general store; the storeowner does not make a single item in the store but subcontracts all of that work to outsourcers. This is why it is so vitally important to the space industry here in America, to get something off the ground and built in the country, as a matter of speaking. The CST-100 Space Capsule Project is the headliner in a time that needs a suitable replacement to the now defunct space shuttle sector. How does the CST-100 work, you may ask? We are glad that you did and we will attempt to explain the finer points of this giant leap forward below. Boeing created the CST-100 for NASA but that is not where the story ends, as the list of end users is expandable. Back to the conceptual organization, there is a fourth party involved in this manufacturing process and that is the United Space Alliance. “USA” is a company set up by, you guessed it, both Boeing and Lockheed Martin. Created in 1996 in an effort to further consolidate the varied NASA Space Shuttle Program contracts, this company is well-suited to blend together all of the necessary operational functions that are required for designing a replacement to the lost shuttle program. The United Space Alliance is serving as an overseer for the CST-100 project and manages the day-to-day operations of the process. The CST-100 is a manned space capsule capable of sending to space a crew of seven astronauts or even non-astronauts. No longer is it factual to say or think that only highly-trained astronauts are going to be in deep space. The time has come for businesses to engage in space exploration and the CST-100 is the jewel in a sea of gems for that main endeavor. The CST-100 looks much like the traditional space capsules of the past, as at first glance it would be hard to tell the difference from the capsules of the past. The main differences are discovered in the interior of the CST-100. Since it is a capsule by design, there is only a limited amount of maneuverability access and this is for a good reason. 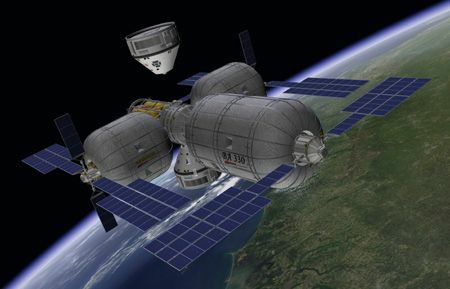 The commercial space flight industry is looking at the CST-100 as a carrier of sorts that will safely and quickly ferry passengers to the International Space Station. Welcome to the future, welcome to outer space! More information on the CST-100 can be found on the Boeing website.